Do you know anyone who loves Minecraft? I know three folks who love Minecraft very much. My boys live and breathe Minecraft. 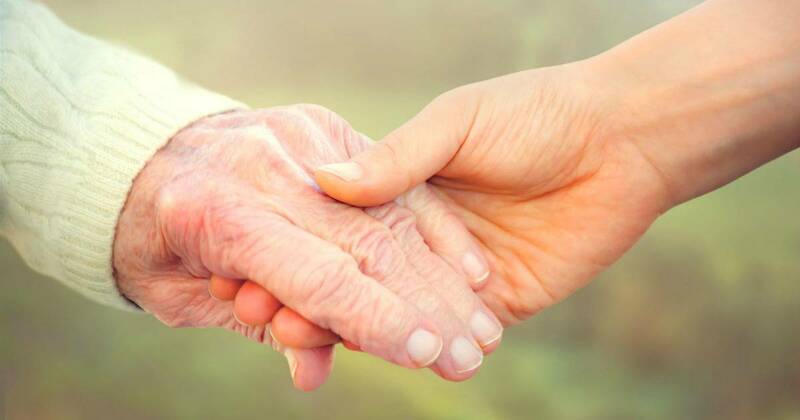 Whether they are building together or alone, they find the game to be relaxing and fun. As they create their holiday wish list, they are adding Minecraft gifts this year. 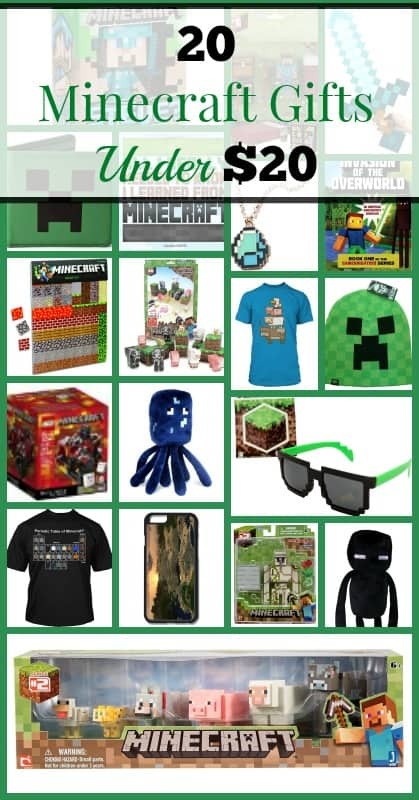 I am happy to see several Minecraft items on each of their lists because I’ve found that several of the Minecraft gifts they want are fairly inexpensive! Most of the items on their wish lists are under $20. I’ve even gone outside of their wishlist and found other Minecraft gifts that are under $20. Before I share that list, though, I have to tell those of you with Lego and Minecraft fans that Minecraft finally has Lego sets! They are all over $20, but they are all awesome. 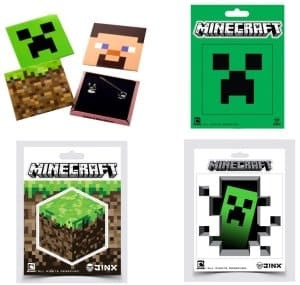 Editor’s Note: As we move closer to Christmas, the price on some of these Minecraft gifts begins to creep closer to and sometimes upwards of $20. 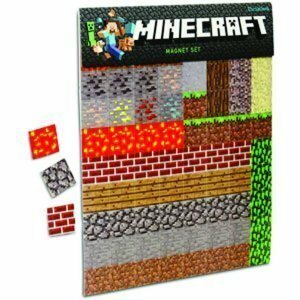 While each of these Minecraft gift ideas were under $20 at the time this list was compiled, they may not be under $20 on Amazon when you view them. 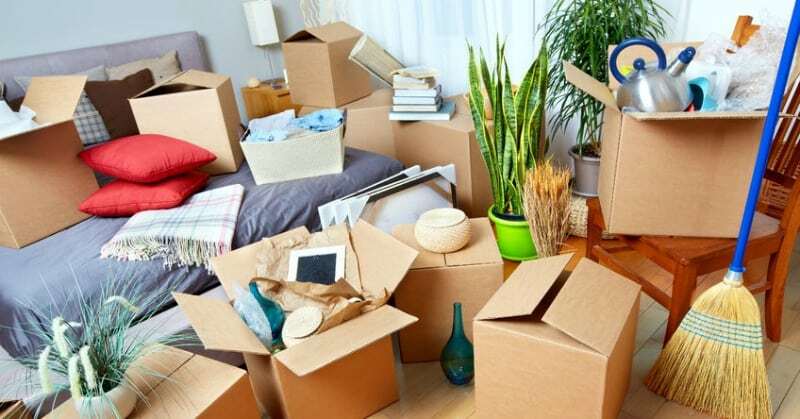 Look for these products from various sellers to find the best price. 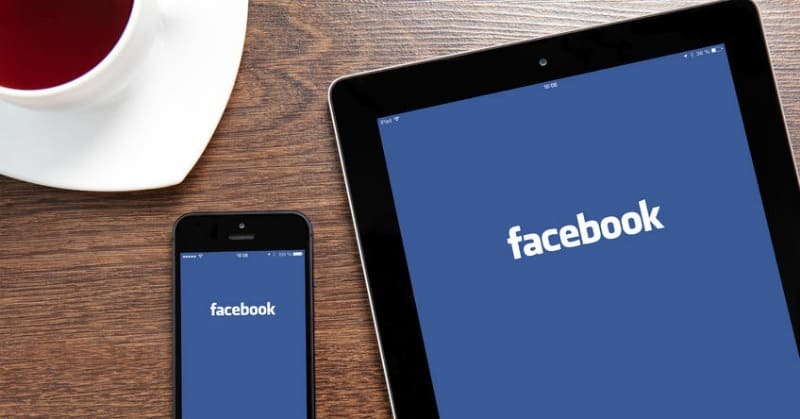 You may find better prices on eBay or offline in stores like Target, as well. 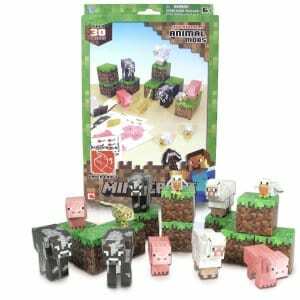 This 6-pack of Minecraft animal toys has been one of my 11 year old son’s favorite Minecraft gifts. He started a collection of Minecraft toys after receiving this gift for his birthday. This set and others have provided him with a little “real world” Minecraft fun when away from the computer or game console. Minecraft offers no shortage of adorable plush toys. My sons are in the process of collecting as many as they can. This squid is one that they don’t have yet and it has appear on their holiday wish list more than once. 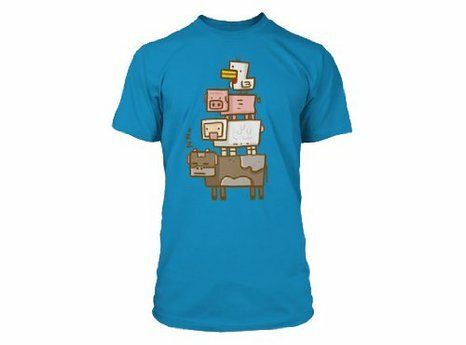 What Minecraft lover’s wardrobe is complete without a Minecraft t-shirt? And this one is way cuter than some of the other ones I’ve seen! 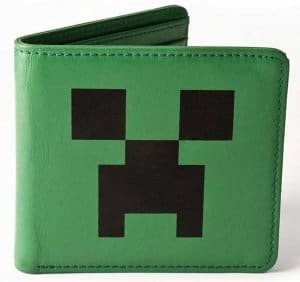 This Minecraft wallet is a great find! It’s not on anyone’s wishlist yet, but I know a certain little boy who needs a new wallet and this one is perfect. 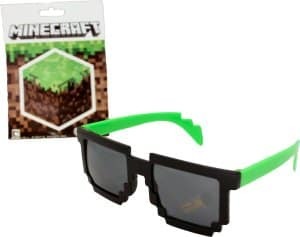 Cute Minecraft Sunglass make a great stocking stuffer. 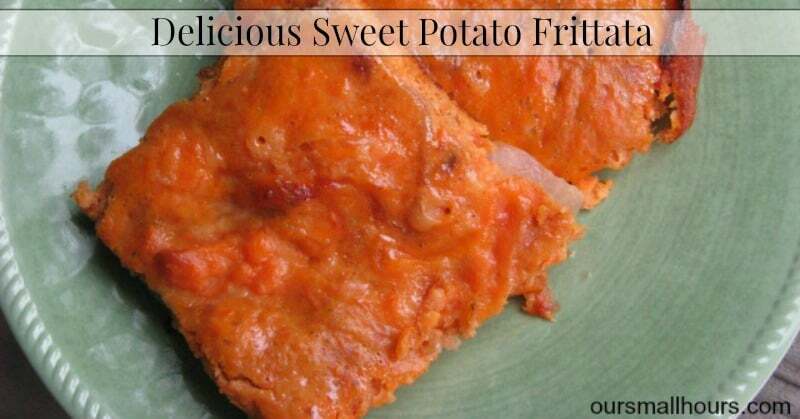 These come in many different colors, as well! 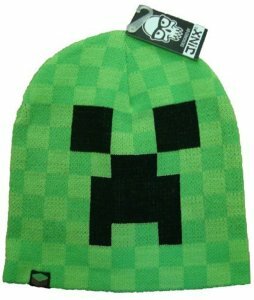 This cute creeper hat will keep your Minecraft fan’s head warm in cool weather while letting them show their love for the game. 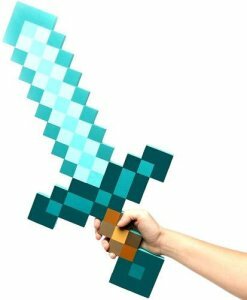 This unique Minecraft Diamond Sword is made of foam and is a great gift for Minecraft-loving kids. 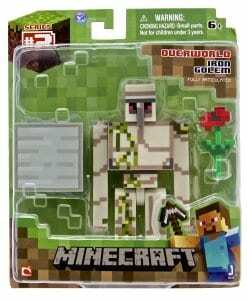 Help any Minecraft player get started with this collectible Minecraft Iron Golem action figure. 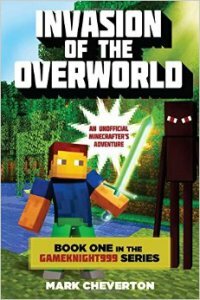 If your kiddos protest reading, gift them this Minecraft book (and the rest in the series) to get them reading. 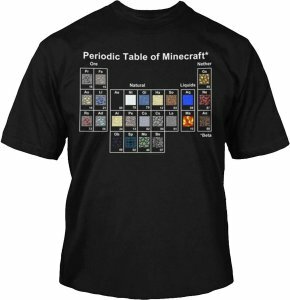 Here’s a great shirt for the Minecraft fan and science lover all in one! 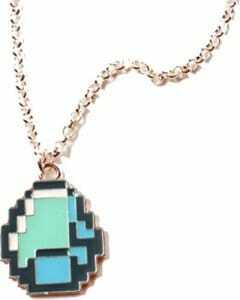 This is a great Minecraft gift idea for fans who also like to wear fun jewelry. This necklace is a good idea for part favors or stocking stuffers. Who can be mad about getting socks as a gift when they are Minecraft socks?? If your children are like mine, they love stickers. This Minecraft sticker and pin set will be a fun addition to their sticker collection. This is one of the first items on my middle son’s holiday wish list. 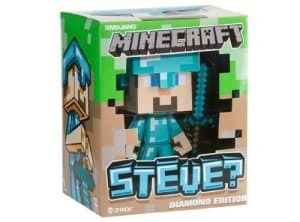 Check out this Diamond Edition Steve. Two of my boys each have one of these plush Endermen. They great for cuddling or collection. 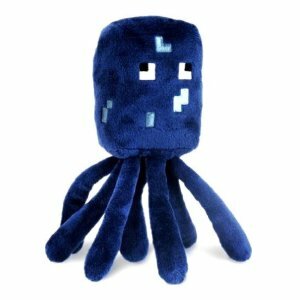 Be sure to check out all of the plush Minecraft toys that Amazon has to offer! 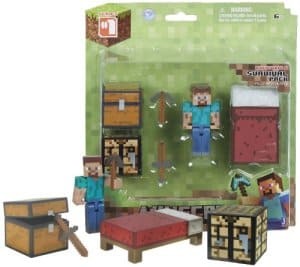 Another collectible action figure set for the Minecraft fan. My sons play with this one often. We haven’t bought a paper craft set yet, but it’s on the list. 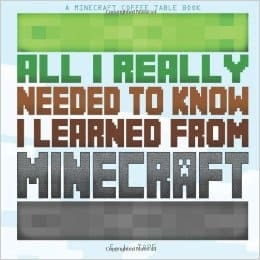 This looks like it would be challenging to put together, but would make a great display in the Minecraft lover’s bedroom or game room! 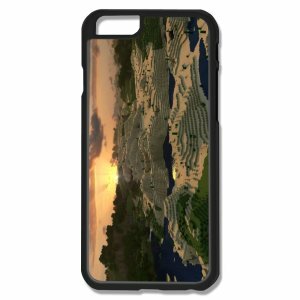 If you are looking for a fun case for your iPhone 6, check out this neat Minecraft iPhone 6 case. If your little ones like to play with magnets on the fridge, this fun Minecraft magnet set will allow them to build a world with magnets.